Hey Australia! 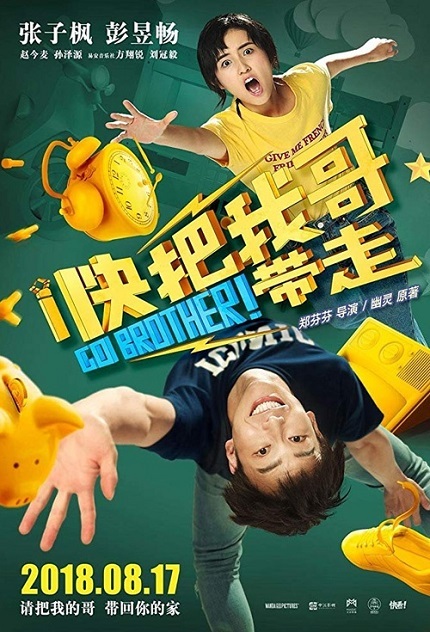 Win Tickets to See GO BROTHER! in Cinemas! Go Brother! is a new Chinese comedy directed by Cheng Fen-fen (Hear Me) and starring Peng Yuchang (Our Shining Days) and Zhang Zifeng (Detective Chinatown). What does it feel like to have a brother who makes a fool of his sister every day and has no sense of family? Fried or steamed? Shi Miao only hopes her brother Shi Fen disappeared completely, even her precious birthday wishes are "take my brother away quickly". Unexpectedly wishes come true, the elder brother becomes the best friend Miao Miao’s elder brother, Shi Miao feels sorry for Miao Miao while thrills inside of getting rid of "the devil king"! This competition will close at 3pm on Aug 24. Good luck!